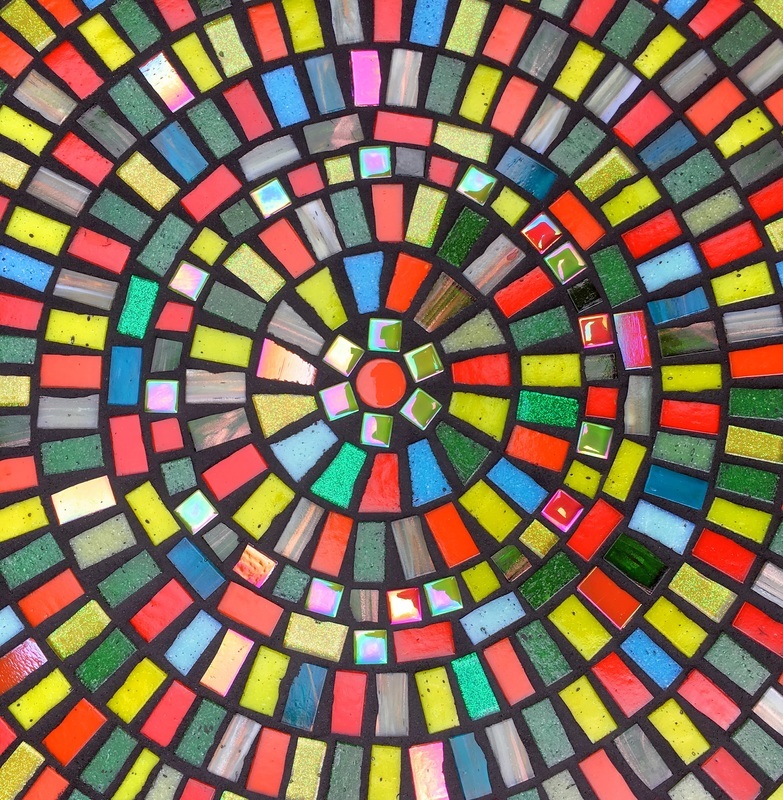 ﻿﻿This is a great introduction to mosaics. 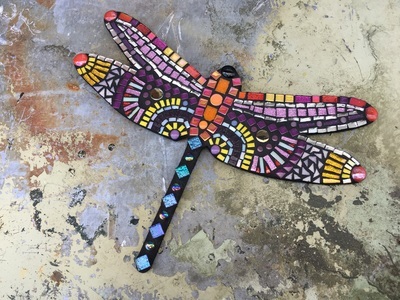 You will learn how to cut and shape a range of different tiles and found pieces to create a mixed media Butterfly or Dragonfly. You will have access to lots of different materials to use including vitreous glass, porcelain, ceramics, mirror. 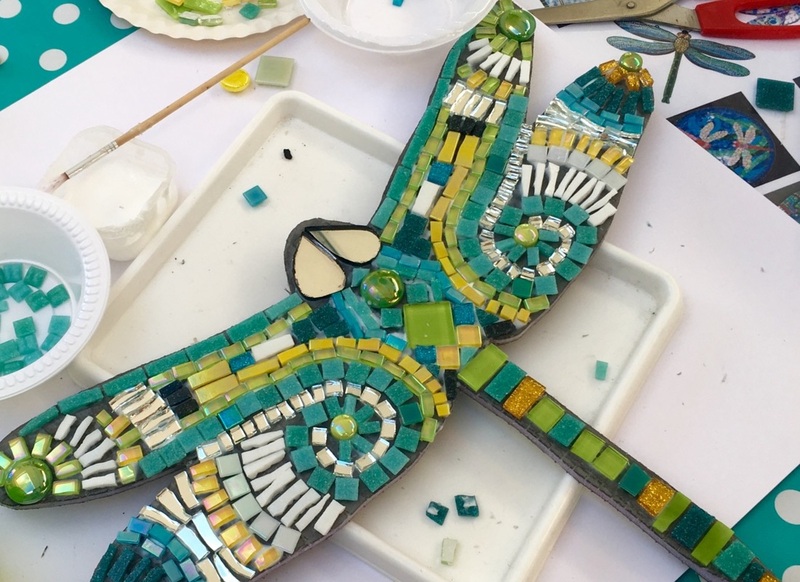 All materials and equipment are provided as well as lunch and refreshments. 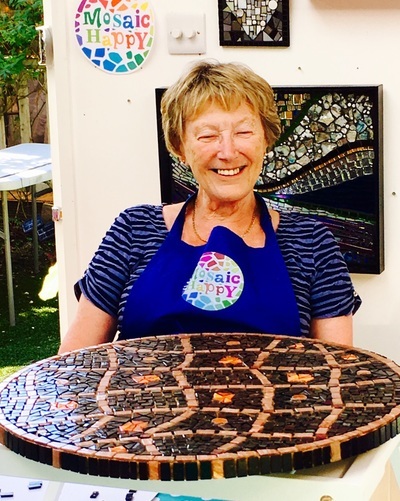 2 Day workshop giving you the opportunity to design and make either a square or circular paving slab or stepping stone. 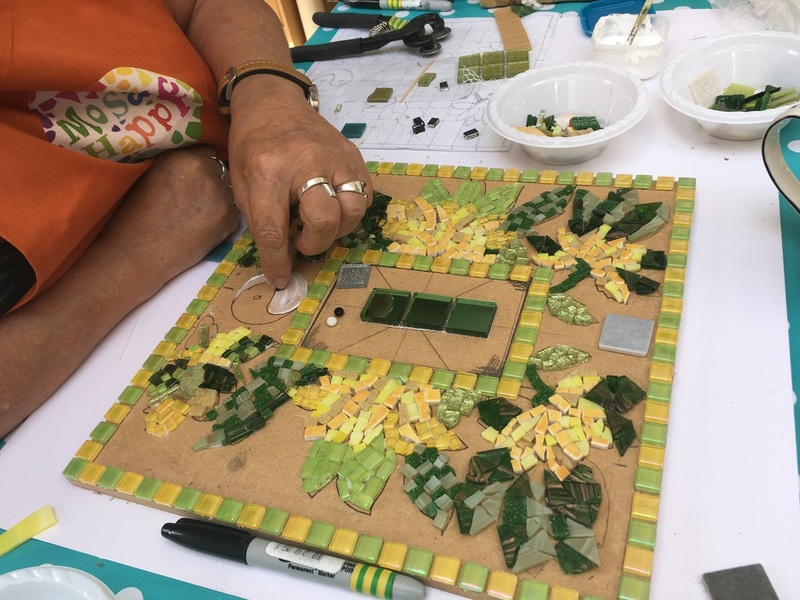 You will learn how to cut and shape different mosaic tiles and use the indirect method to cast your mosaic. 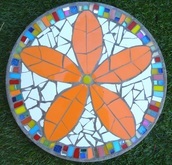 The indirect method is great for underfoot mosaics as it creates a smooth surface to stand on and is incredibly strong. You will have access to lots of different materials to use including vitreous glass, porcelain, ceramics, mirror. 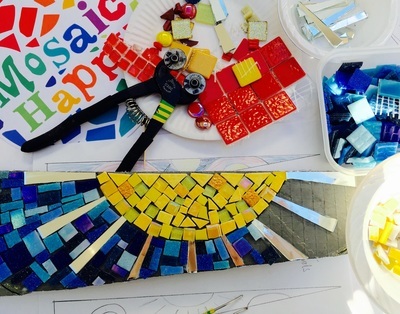 All materials and equipment are provided as well as lunch and refreshments. 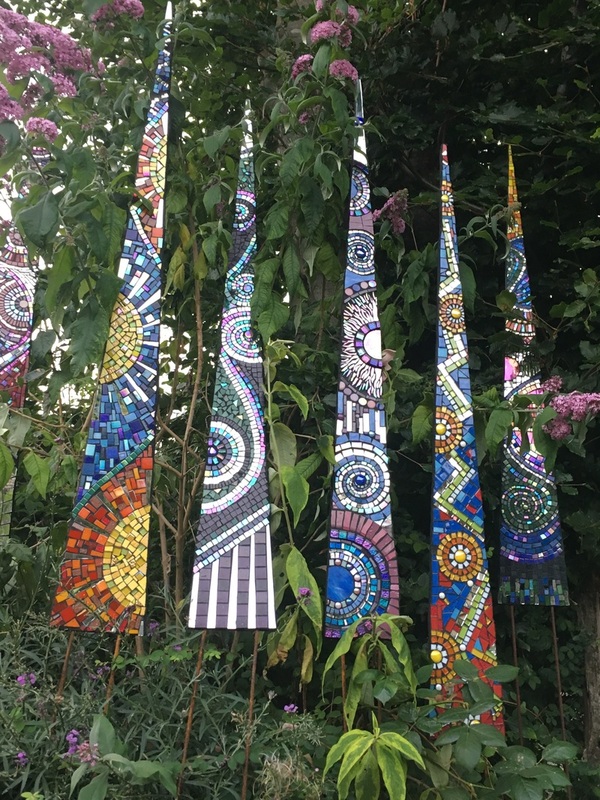 Create a stunning abstract piece of art for your garden. 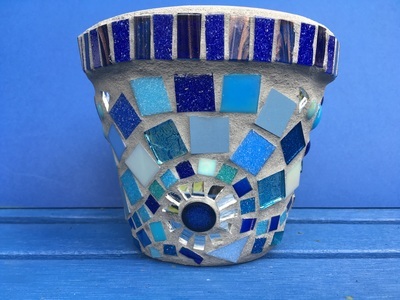 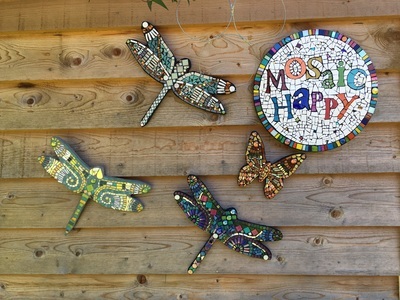 Incorporate sparkles and shimmers in your mosaic to brighten your garden. 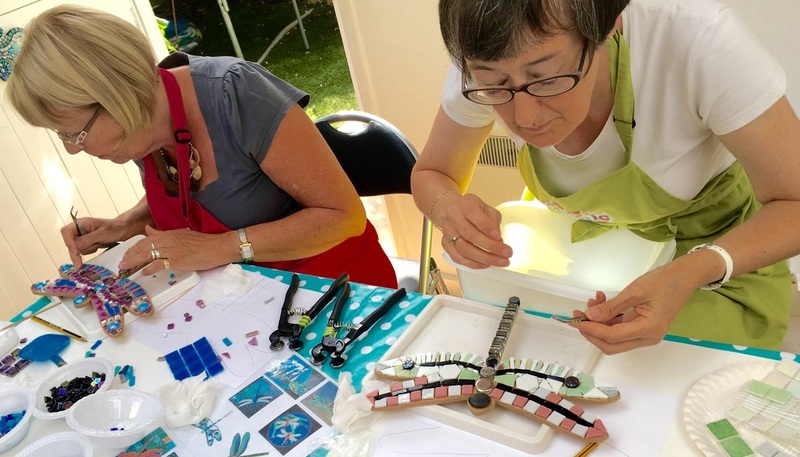 All materials and equipment are provided as well as lunch and refreshments. 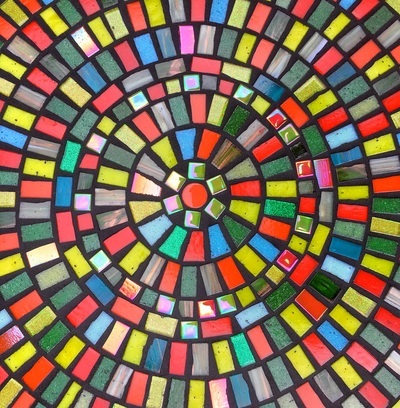 This is a great introduction to mosaics. 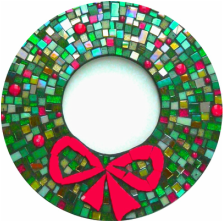 You will learn how to cut and shape vitreous glass mosaic tiles, and apply them using the direct method to create either Christmas Wreath or a Star. 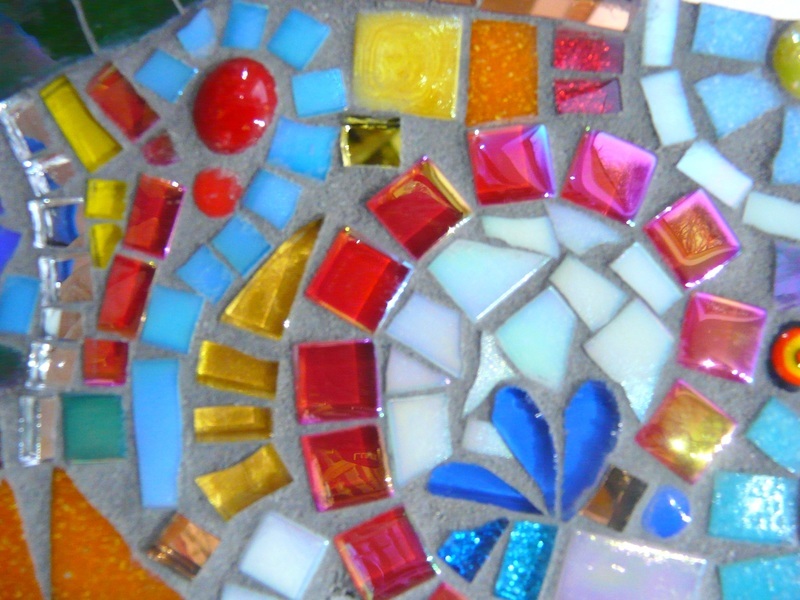 You will have access to lots of different materials to use including vitreous glass, porcelain, ceramics, mirror. 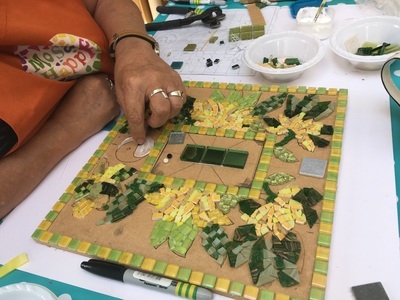 All materials and equipment are provided as well as lunch and refreshments. 2017 dates to be confirmed in February. 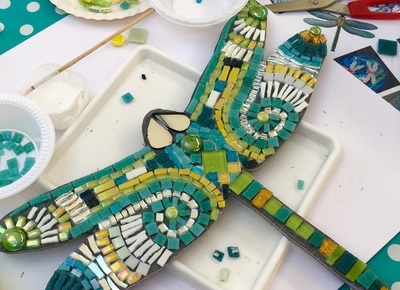 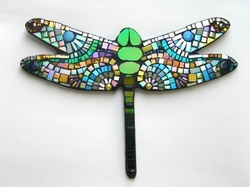 Half and whole day workshops aimed at anyone with a mosaic project in mind. 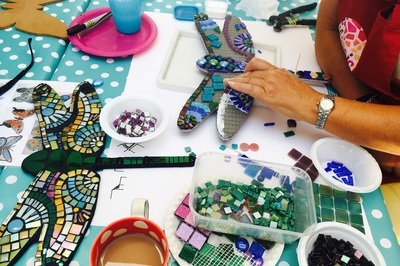 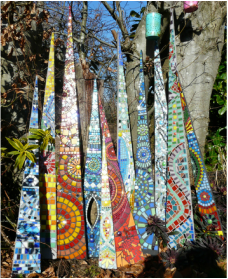 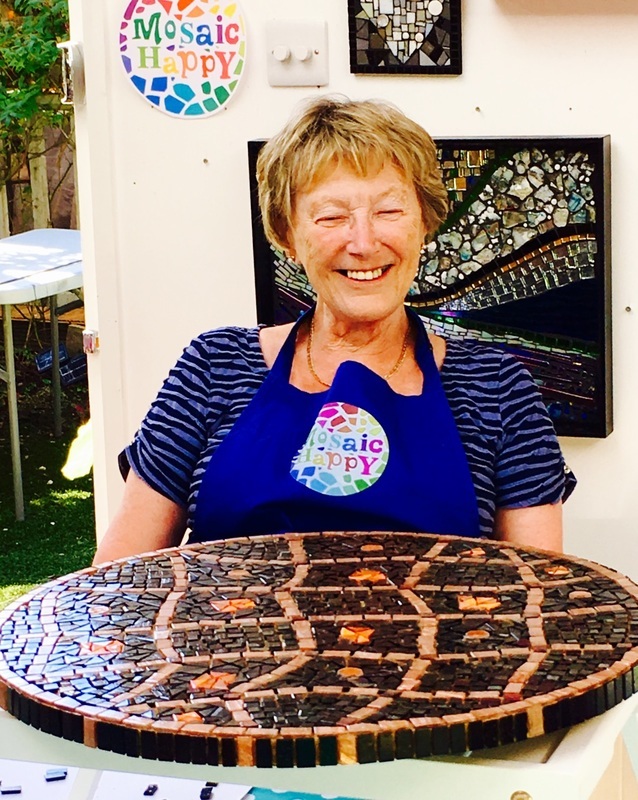 Come along and receive tuition and guidance to help you create your unique mosaics. 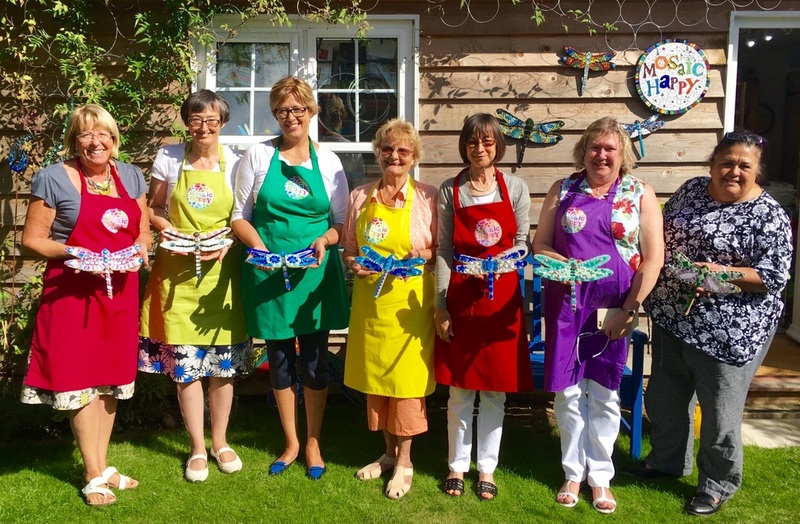 I have small class sizes, so book early. 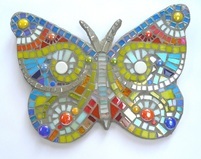 Discounts for bulk booking are available. 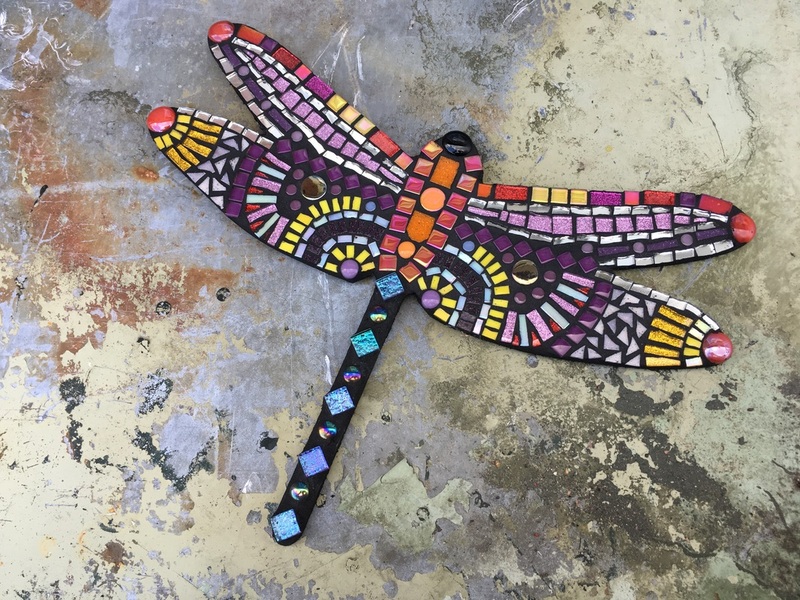 ﻿Each member of the group will have the opportunity to create a small mosaic heart, dragonfly, trivet, or other similar item. 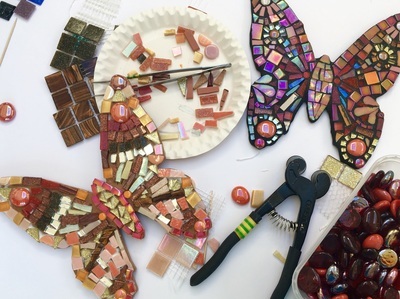 All materials and equipment provided. 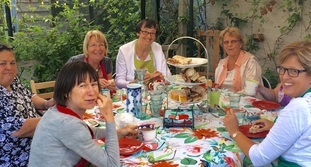 Tea/coffee, light lunch and cake also included.